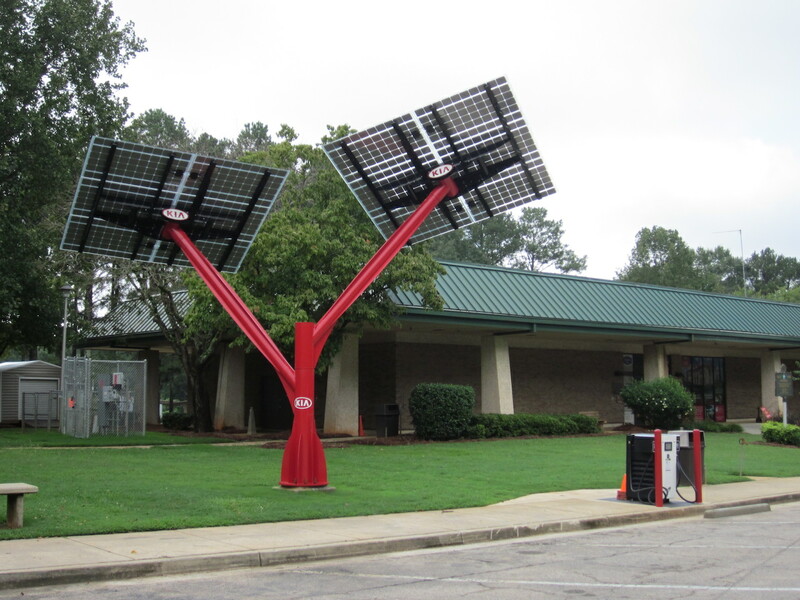 Located along The Ray, the Visitor Information Center in West Point, Georgia is home to the state’s very first solar-powered PV4EV (photovoltaic for electric vehicle) charging station. It’s one giant step toward creating the infrastructure that’s needed to support electric vehicle transportation. 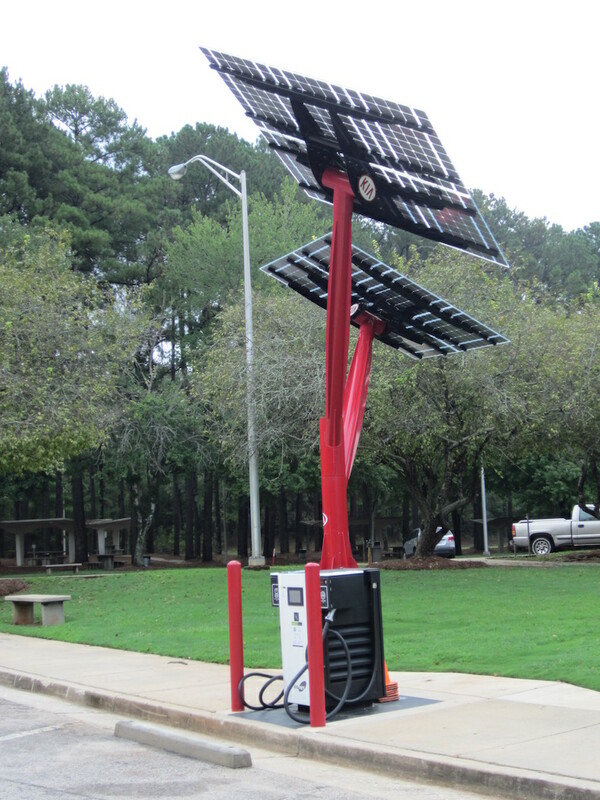 The Ray’s Georgia’s first PV4EV station and is a fast charge station on a corridor that has little to no charging infrastructure. Additionally, the PV is tied into the grid for the City of Westpoint to provide green energy to the community when it is not in use. 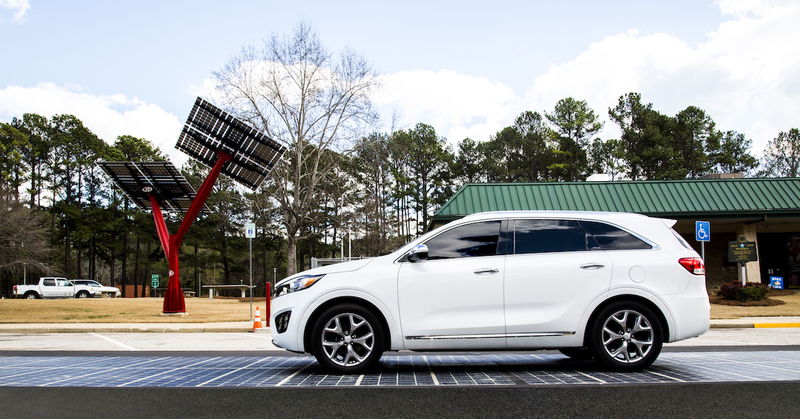 The installation cost $100,000 with $60,000 for solar and $40,000 for the charging station. The high cost for the charging is because it is a fast charge station. On a highway, the fast charge is necessary, as opposed to a mall or office where a car can charge more slowly.